The eCommerce industry is booming. Customers love being able to browse inventories and make purchases from the comfort of their own couch. In fact, customers have gotten a little spoiled. It isn’t enough to just have their order delivered right to their doorstep. No, they want their items delivered fast, on the next day or even the same day that they placed the order. Everyone tends to slack off a bit when they’re not supervised, and drivers are almost always unsupervised. Your drivers might be stopping for snacks or even running personal errands while they’re on the clock. You can’t see them, so how do you know? GPS tracking software is how. It’ll show you where your drivers are and how fast they’re going in real-time. Whenever you want, you can check in on a driver and make sure they’re sticking to their route and staying on schedule. Vehicle tracking makes geofencing possible. Geofencing involves drawing custom borders over a real-world map. Then, you can set it up so that certain actions are triggered when your driver crosses through one of those borders. For example, you can use geofencing to automatically send the customer a text message when your driver is about to arrive. They’ll appreciate the notice. Route planning is complicated. There’s more to it than just figuring out which roads your drivers must take to get to your customers. You need to account for traffic, construction, weather, and other factors as well. All these potential obstacles make route planning quite difficult. You might make a mistake and give your driver an inefficient or inaccurate route. That’s bad for business, of course. It’ll delay your drivers and upset your customers. It also puts your drivers at greater risk of getting into an accident, as they might speed or drive recklessly in an attempt to stay on schedule. A route planner app guarantees that every route you give your drivers is the most efficient route possible. Your drivers will have everything they need to stay safe and productive. Not all route planners are equal. Make sure the routing program you invest in has a territory mapping feature. It doesn’t make any sense to send your drivers back and forth across your entire service area. Instead, you should split your service area up into different territories and assign a driver to each territory. Routing software with a territory mapping feature allows you to do exactly that. Your drivers will be more efficient when their stops are closer together. Also, make sure that your route mapping software has automatic verification. When you’re entering addresses into a route planner, it’s easy to make a little mistake, like typing “3565” instead of “3556”, or “Elmwood Road” instead of “Pinewood Road”. It only takes one wrong address to mess up an entire route. A small mix-up could end up setting your driver back hours behind schedule. Automatic verification prevents those mix-ups from happening. Route planners with this feature will flag addresses that look suspect and give you a chance to change them before your route is generated. Many companies are forced to outsource some of their operations in order to meet customer demand. 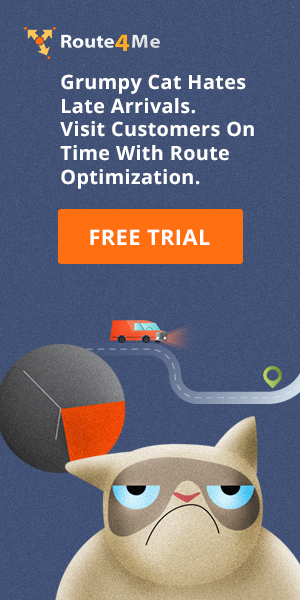 But with the productivity-boosting power of a map route planner, there probably won’t be any need for you to outsource anything. It’s not enough for your drivers to show up on time. They need to be nice, too. If your drivers are rude, your customers won’t stay your customers for long. They’ll leave you for one of your competitors. Everyone wants to be treated with respect. Train your drivers to be polite to your customers. Showing up on time is important, as is being friendly to your customers. If you do both of those things, you should be able to keep your customers happy. If you do more than those two things, they’ll be even happier. A little recognition goes a long way. Sending over thank you cards or small gifts will really make your customers feel appreciated. These gestures will inspire your customers to recommend your service to their friends and family. These personal recommendations are far more persuasive than blatant advertising. It’s the absolute most effective way to attract new customers to your business. Look at your reviews online. Specifically, look at your negative reviews. The one-stars, the two-stars, etc. What did they say? Surely some of the complaints were unreasonable, but don’t use that as a reason to dismiss every single critique. It feels good to read positive reviews, but you won’t learn anything from that. Negative reviews, though, will show you exactly what you need to do to improve your business. That information is invaluable. So, what do you do to keep your customers happy? 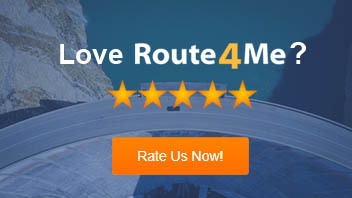 Do you have any questions about route planning? Let us know in the comments section below. Obvious ideas, but they worth to be repeated. Thanks, Sandy! Do you have anything to add or share? What are your thoughts?